What happens when you cross the campiness of the Teenage Mutant Ninja Turtles with body horror SFX? 1991’s The Guyver, of course! Based on the long-running manga Bio Booster Armor Guyver (which is still ongoing! ), this flick is often overlooked as yet another of the myriad failed science fiction adaptations of the ‘80s and ‘90s. But don’t let its reputation fool you, because this is your only chance to see Luke Skywalker undergo a half-Kafka, half-Cronenberg on-screen transformation into a cockroach-esque menace. 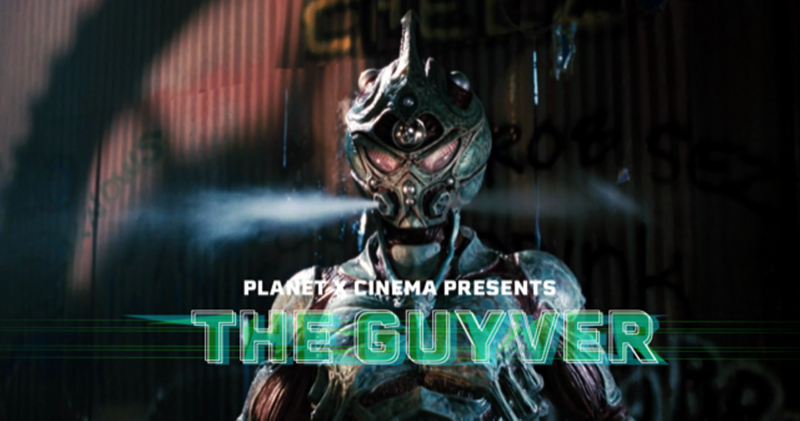 That’s right – The Guyver boasts Star Wars royalty Mark Hamill on the cast, though his omnipresence in its promo materials belie the actual size of his role. Genre legends Michael Berryman (The Hills Have Eyes) and Jeffrey Combs (Re-Animator) also pop up, which makes sense, since the film was directed by two men responsible for some of the most iconic horror special effects of the ‘80s: Steve Wang (Predator) and the aptly monikered Screaming Mad George (Big Trouble in Little China). If you love David Cronenberg and H.R. Giger but wish their work featured more hackneyed comedy bits, this is the movie for you.